Daiute, C. (2014). Narrative inquiry: A dynamic approach. Thousand Oaks, CA : SAGE Publications. Daiute, C. (2010). Human development and political violence. NY: Cambridge University Press. Read or download, Daiute, Kovacs-Cerovic, Todorova, Jovic, Ataman, 2017 here. Daiute, C., Beykont, Z., Higson-Smith, C. & Nucci, L. (Eds.) (2006). 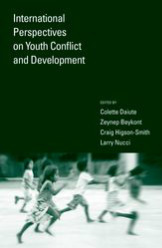 International Perspectives on Youth Conflict and Development. New York: Oxford University Press. Daiute, C., & Lightfoot, C. (2004). 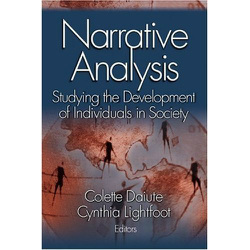 Narrative analysis: Studying the development of individuals in society. Thousand Oaks, CA: Sage Publications. Daiute, C. (1993). 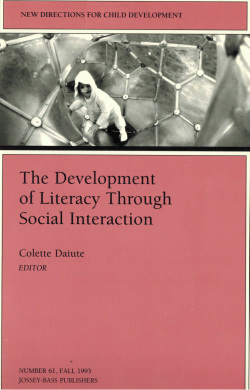 The Development of Literacy through Social Interaction. New Directions in Child Development Source book (vol. 61). San Francisco: Jossey-Bass, Inc. Publishers. Daiute, C. (1985). Writing and Computers. Reading, MA: Addison-Wesley Publishing Co.